In 1950, Alan Turing devised a test of artificial intelligence. The basic criteria was that a computer could be called "intelligent" if a human, without realizing it, thought she was talking to another human when interacting with it. Hence C-3PO fails the test, but Rick Deckard passes it. The notion of artificial intelligence (AI) has since become a standard sci-fi theme, as it is fruitful both for philosophy (What makes us human?) and pulp (AI robots rebel! kill all humans!). It's become so well-worn that there isn't much new to say... thankfully, the movie-length pilot episode of the new series Caprica still manages to put an interesting twist on the tale, mostly by loading it down with a bunch of other, unexpected stuff. 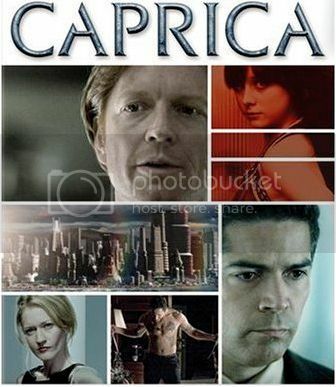 Caprica takes place 58 years before the events of the highly popular Battlestar Galactica series (itself a revival of the cult 1970s show of the same name). Whereas the latter show followed humanity's last ditch effort to survive in a galaxy of angry AI robots - "Cylons" - the former is an origin story which precipitates the human genocide. And, like any good Genesis, it features a Promethean fall from grace (knowledge bad! progress bad! ), along with Frankenstein-type creation, and a guy named Adam(a). As if the Biblical parallels weren't enough, the writers then throw in some Quo Vadis? sauce: the planet of Caprica is much like a decadant 3rd-century Rome, complete with nightclubs featuring gladatorial-type slaughter and human sacrifice, as well as an underground cult of monotheists who are very keen on moral absolutism, secret symbols (not a fish this time) and overthrowing the Mount Olympus pantheon. As if the story wasn't busy enough with classical themes, Caprica also attempts to tackle 20th-century racism - as embodied in the trials and tribulations of the off-world Tauran immigrants. Taurus is a stony planet where the mafia thrives. Inland Sicily, perhaps? "I'm not a person, but I feel like one!" The story opens on the surreal debauchery of Caprican virtual reality nightlife. Here, a small minority of morally indignant youth exists - led by their charismatic leader, Zoe Graystone (Alessandra Torresani). These kids are students of the mainstream Athena Academy prep school by day, but they trawl the virtual net by night. Zoe, a genius with computers, has created a near-perfect AI representation of herself in the net, and they are training this AI Zoe for a mysterious mission which will advance the monotheistic cause (or something). Zoe's parents, computer and robotics mogul Daniel (Eric Stoltz) and Amanda (Paula Malcolmson), neither understand nor approve of her shady rebelliousness. These people are also uniformly filmed in cold, hard colors. Meanwhile, filmed in earthy reds and oranges, an immigrant family, the Adams (later, Adama), from Taurus is introduced - father Joseph (Esai Morales), mother Shannon (Anna Galvin), and their children, Tamara (Genevieve Buechner) and William (Sina Najafi). Joseph is a lawyer with ties to the Tauran criminal world, and he constantly struggles to balance his Caprican new start with his (literally) old world obligations. Tragedy strikes in the first act when Zoe, as well as Shannon and Tamara Adams, are killed in a terrorist attack on the city metro. After a chance meeting, the grieving fathers form a friendship - yet just as Joseph Adams is busy thwarting misguided mafia offers to punish those responsible, Daniel Graystone discovers his daughter's genius AI designs. The story calls to mind the pre-New Wave sci-fi of the 1940s and 1950s (e.g. I, Robot), as humans mindlessly rely more and more on robotic assistants. Didn't these people ever see Terminator? The costumes and Italian immigrant allegories also lend a wartime America feel to the proceedings, especially from the Adams side. The Graystone plot, instead, feels more cyberpunk (e.g. Neuromancer) - with its heavy use of cold lighting, metallic surfaces, and the ambiguous juggle between cyberspace and meatspace. "A difference that makes no difference is no difference." Ethically, the writers unambiguously side with earthy, good ol' boy Joseph, who disapproves of Daniel's attempts to resurrect Zoe using robotics and the AI. As anyone who watched Battlestar Galactica knows, it will be Daniel's creation which ultimately destroy most of the human race. We give some lukewarm kudos to the somewhat lame attempts to humanize and sympathize with Daniel's plight, but overall we still thinks it's a too-easy moral equation. Daniel may be misguided, perhaps even crazed with grief, but he is never afforded a moment to be right. We at the PPCC would have loved to see a bit more ambiguity in the whole Cylon/AI business - after all, Prometheus may have gotten his liver eaten, and Eve may have gotten us kicked out of Eden, but at least we learned about fire and morality! Daniel's creation of the Cylon is driven purely by his justifiable, but ultimately selfish and single-minded desire to see his daughter again. And what do we get in the end? A Catholic school girl killing machine! From a storytelling perspective, it's too easy. We never get a chance to love, or be awed by, the Cylon. And hence we probably won't get a chance to feel fear when they turn on us. For the audience, we barely meet Zoe before she is gone - and so there's never any investment in having her return. 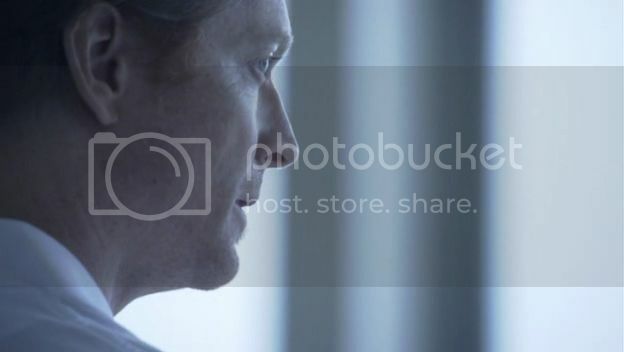 The best we can do (especially given Eric Stoltz' inexpressive performance) is offer some cold appreciation of Daniel's bend towards mad scientist, and then just cluck our tongues when he creates what is clearly a bad idea. We can never really relate, nor certainly root for. The first, working Cylon - whose appearance concludes the pilot - is Evil with a capital E from day 1. A little more ambiguity, a slower slide into moral oblivion, a less blunt foreshadowing of a path paved with good intentions, would have been a lot more compelling. What if the Cylons had become a standard resurrection device on Caprica, and thousands of people were peacefully and contentedly uploading their consciousnesses into the Graystone Death Insurance net program? (With, of course, some requisite moral discomfort from special interest/religious groups.) And then it was the faulty resurrection of some psycho, who took over the Cylon battle-body, which precipitates the Cylon War? Or perhaps some bug, or hacker virus, turns all these happy-go-lucky cyber-zombies into angry robots on a mission to kill? Honestly, there were a lot more interesting ways to begin a human-AI meltdown. Maybe Caprica will get better. But the beginning is, while certainly clever and interesting for its Greco-Roman allusions, a little uninspired as well. I think it'll get better. I'm leery of getting attached after BSG's spectacularly awful conclusion, but I have to admit it intrigued me. And I love the idea of Cylon "psychology," for lack of a better word, being rooted in a rebellious monotheistic teenage girl who is SO SURE that she is right. That makes quite a bit of sense.